Charcuterie is both an art and a science, this would sound like a cliche usually, but here it really is. 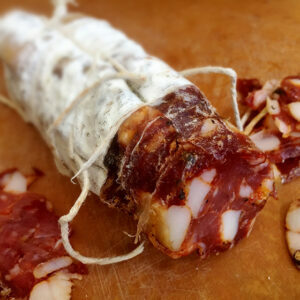 The art of charcuterie is in the eyes (or mouths) of the beholder (or in this case whoever is eating it!). 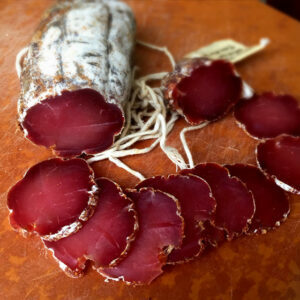 Some people like more or less salt, some prefer this or the other spice, some like burning hot spices, others cry in agony with even a little, some like it softer or harder, some like more texture, other less, some love molds, some are grossed out by them… that’s the “art” of charcuterie. And just like art can’t please everyone, you have to find (and make) the ones that please YOU first and foremost. 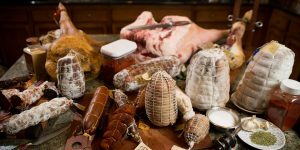 The science of charcuterie describes some basic rules that need to be followed in order to separate something edible from a horrible food poisoning and hospital visit. And if you follow these rules and you LOVE your results, don’t let anyone tell you did your salami or whole muscle cure “wrong”, that’s the art. I will highly encourage you to take any constructive advice and experiment and change your recipes around. I still do. I rarely make the same recipe twice! There are maybe 2-4 recipes I don’t change much, but most are always in constant shift and experimentation based on my curiosity, but also feedback from other charcuterie professional and hobbyist. There is no such thing in my opinion as a ‘secret perfect recipe’, just like there is no such thing as a recipe for making a ‘perfect painting’. If you love your art, that’s all that matters, after all, this page is about HOME charcuterie, intended to be for YOU, your family and friends, not to create compromises in products that would please the largest number of people. There are plenty of bad as well as great products in the market today that do that. It’s time for YOU to make YOURS. If you like to learn more, there are plenty of great online resources out there as well as great professional books. I have put together here my own contribution in the form of one brief 60-page guide for those wanting to get started. It’s free now to anyone!